A superior total solution is provided for a better corporate scenario. 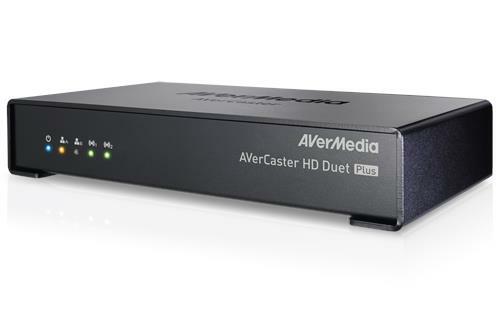 AVerCaster HD Duet Plus can be used in live broadcasting which delivers the live content to the vast audiences by either the Internet or Intranet. On top of that, the AVerMeida CMS (Content Management System) plays an important role in the total corporate solution. With AVerMedia CMS, the content of live broadcasting and VOD can be easily managed by a delivery side, such as an organization. 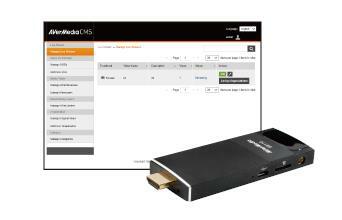 Accompany by AVerReceiver 110, a receiver side can easily receive and choose the preferred content from the play list of AVerMedia CMS at home, such as branches all over the world. 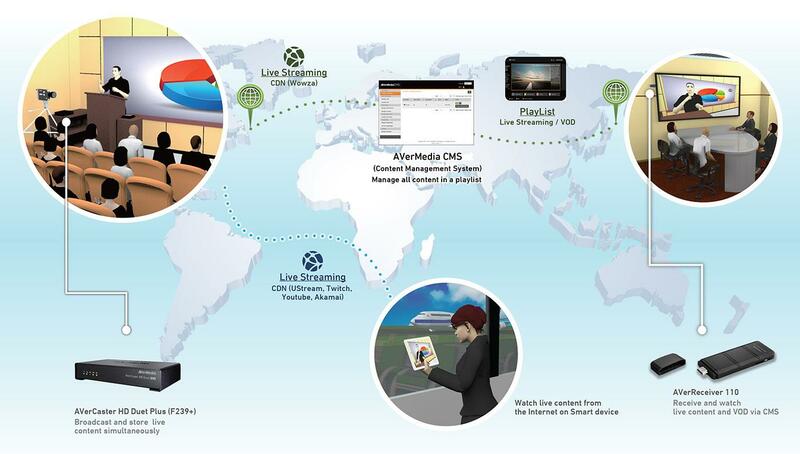 The content of live broadcasting by AVerCaster HD Duet Plus can be the input source of AVerMedia CMS as live content. Furthermore, the HR department of an organization can produce training materials or meeting backups by VOD content in AVerMedia CMS.